Established in 1983, deBoulle Diamond & Jewelry provides their customers with a premier collection of fine jewelry and luxury timepieces of world renowned brands in a beautiful and friendly environment. 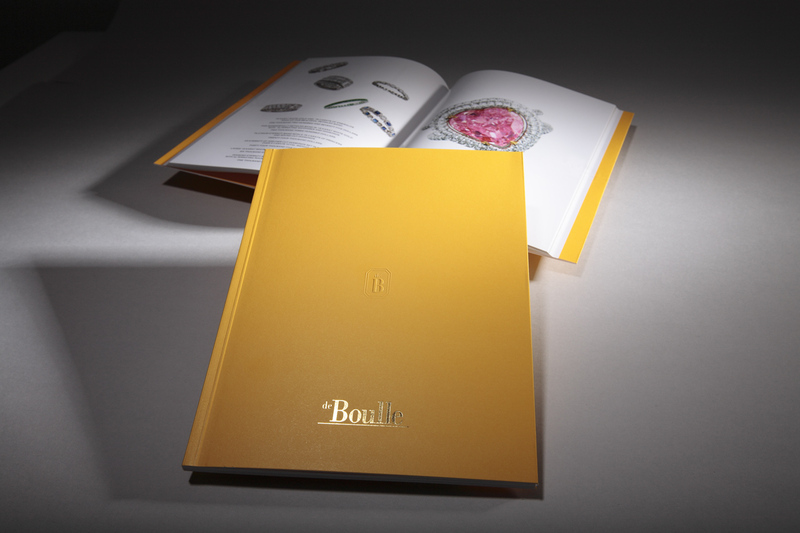 For their catalog, every detail had to reflect personalization, beauty and luxury. V H Printing designed the catalog, along with custom box, tissue paper and ribbon for a mailing distribution to customers. Services included consulting, photography, digital strategy, graphic design, printing of the catalog, ribbon, tissue paper and box, and direct mail resources.